Born in Rome. At fifteen he played keyboard as an autodidact before moving on to the piano, studying classical music and Jazz with Aldo Iosue, Andrea Beneventano, Enrico Pieranunzi, Barry Harris and Nicola Stilo, earning a diploma in Solfeggio at the Conservatory of Campobasso. He began playing in the early nineties with the rhythm & blues group “Seventie’s Soul Band”. From 1995 to 1997 with the group Acid Jazz “U.S.L.”, and from 1997 to 1999, with “K-Six”, a soul music band. Besides the piano, he also studied alto sax, participating as a saxophonist at the “Villa Celimontana Jazz Festival” (1995) and the “Massenzio Estate” (1995). 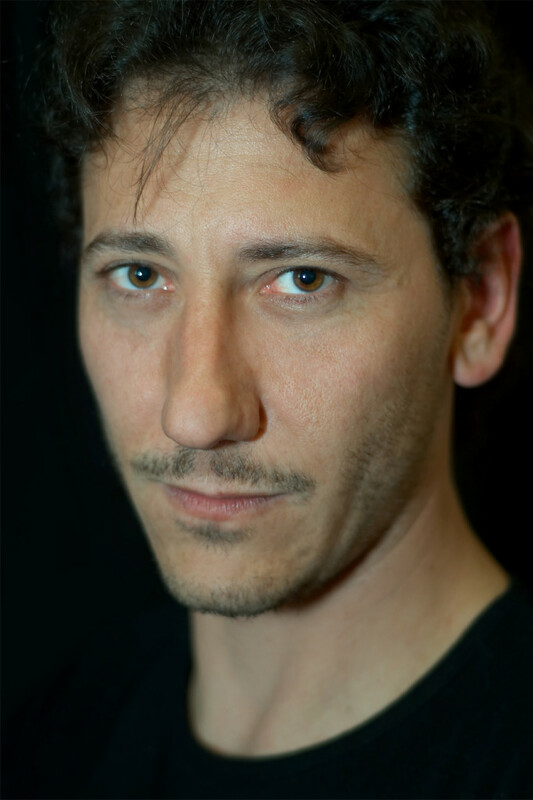 In 1998 he composed the music for the film “Una rosa prego” by Vincenzo Marra, in competition at the Festival International of Bastia (Corsica). In 1999 he joined the band of the bluesman Roberto Ciotti, with whom he arranged and recorded the cd “Behind the door” (2002) and the Dvd Live “My Blues” (2008), playing in numerous Italian and International Blues festivals, including: “Pistoia Blues” (2000), “San Severino Blues Festival” (2000), “Castel S.Pietro Blues”(2001), “Trasimeno Blues”(2002), “Jazz & Image” a Villa Celimontana, Roma (4 editions, 2000/2003), “Grey Cat Festival”(2000), “Umbria Jazz Winter” (2001/02),”Philips Dubai Jazz Festival” (Emirati Arabi-2003), “Jazz Tage Lichtensteig” (Svizzera-2003), “Isola Liri Blues”(2004), “Nokia Abu Dhabi Jazz Festival” (Emirati Arabi-2006), “Roma incontra il mondo-Villa Ada (Roma 2006/2007), “Out of the Blue’s Festival” (Samedan, Svizzera – 2007), “Suonincava”, Apricena (2008), “Stadio della Pallacorda”, Roma (2008), “Fly Festival”, Bresso (2008). He also took part in several radio and TV transmissions (“Brasil” su Raistereouno, “Vivendo Parlando” on Sat 2000 and on “Live” on Canal Jimmy (registered to Big Mama of Roma, 2000). In 2003 he composed, arranged and produced with Gigi Pezzi the record “VITA INERS” of the group “U.S.Z.”, with whom he also produced the soundtrack for the film di Monica Zullo “Gix”. He also was pianist and composer of theatrical music for the play “Necessito un drink” (2002/03), written and interpreted by Yari Gugliucci. In 2006 he was “Special Guest” with the group “Acustimantico” in the theatrical play “Em: Emanuel Carnevali va in America” , presented at “Auditorium Parco Della Musica” of Rome, also recording the CD of the same name. In the same year he arranged the music of Raffaele Paglione for the musical comedy “Maledetti architetti” by Carlangelo Scillamà, staged at Teatro Tor di Nona of Rome. In 2007 he released his first solo album “FOR THE SEA”, with many guests including Massimo Moriconi, Claudia Marss, Roberto Ciotti, Blue Joshua Band. Also in 2007 he scored in trio “LE STORIE D’AMORE”, solo album released by Major Giapponese “Pony Canyon” and produced by Makoto Kimata (already producer of McCoy Tyner, Chet Baker, Benny Golson, Art Blakey and many other famous international jazz artists). With this record he won the “GOLD DISC AWARD”, a prestigious award of the prestigious Japanese magazine “SWING JOURNAL” (See reviews). The collaboration with Kimata continued in 2008 with cd “ANDREA PAGANI PLAYS PUCCINI” , in tribute to the famous Italian composer on the occasion of the 150th anniversary of his birth. The two albums were well received by critics and reached a total of five thousand copies sold. Some tracks will be featured in upcoming compilations by Pony Canyon , including “OTOKO NO KAGUREGA JAZZ COMPILATION:LOVE” (2008) and “HEART CONSCIOUS – JAZZ PIANO (2012) AA.VV., next to world famous jazz musicians like Pharoah Sanders, Hank Jones, Lew Soloff and Mal Waldron. The following year, the song that he composed “A tear on my chest” was recorded by the American pianist Cyrus Chestnut in the record “BLACK NILE” (Etichetta M&I), with Buster Williams and Al Foster. In July 2008 with the “Andrea Pagani Trio” he participated in the IV edition of “FestambienteSud” with Monte S.Angelo (FG) and in late November he performed in concert at Italian Embassy in Kampala, Uganda, for the “Settimana della lingua e della cultura Italiana”, holding a jazz seminar at ‘”Università di Makerere”. In May 2012 he released his fourth solo album, “BRAVI BRAVI, MA CE L’AVETE UNA CANTANTE?”, released by “Zone di musica”, which proposed trio songs revisited in Italian Jazz. In the Autumn of 2014, he was pianist for the show “Possinammazzà!! !” , “One Man Show” musical actor Enrico Montesano. On the 14 of July 2015 he performed solo piano at the French Embassy in Rome, on the occasion of the French National Holiday. 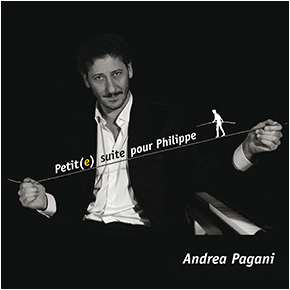 On the 2 of October 2015 “PETIT(e) SUITE POUR PHILIPPE” (Filibusta Records) came out, a solo piano record dedicated to the French tightrope walker Philippe Petit. In November he returned with his trio to Uganda for a series of concerts sponsored by the Embassy and the Italian Presidency of the Republic. In 2017 he recorded the album “JAZZ IN BAG”, an album produced by Stefania Barbesi for the well-known Luxury Bag & Jewelry brand “AngelinARoma”. The album is a compilation of original compositions plus 4 unpublished works. On January 10th 2019 he released “BLUE”, the seventh solo record, conceived as a “Serial” album. The work is available with a song every month (12 tracks for 12 months). Moreover, it is not available on any online platform, it can only be ordered by asking the author. 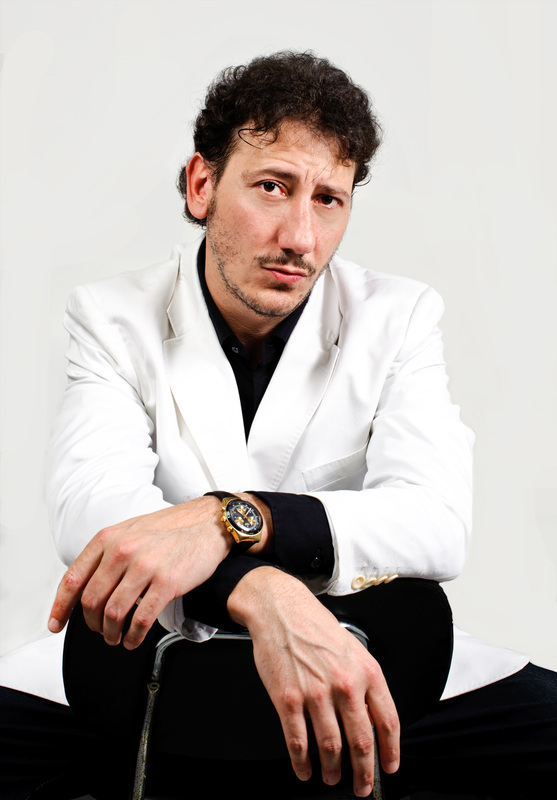 In addition to solo, he has worked as a sideman with various artists, including Roberto Ciotti, Enrico Montesano, Acustimantico, Red Pellini, Frank Catalano, Minnie Minoprio, Francesca De Fazi, Giorgio Rosciglione, Joe De Vecchis, Tom Shaker, Federica Baioni, Cecilia Herrera, Enzo Scoppa, Maurizio Urbani, la “Blue Joshua Band” of Aldo Iosue, the Brazilian singer-songwriter Ze Galia, Josè Martillotta and many other artists of the Italian music scene. In April 2008, he presented one of his autographed photos to “International Museum of Peace and Solidarity” of Samarcanda, Uzbekistan, as a contribution to the global project “International Peace Autograph Project Exhibit”.